mpossible not to feel sorry for the Spaniard, whose once-permanent grin has finally been wiped off his face by his return to MotoGP, after a triumphant season winning the inaugural Moto2 world title. 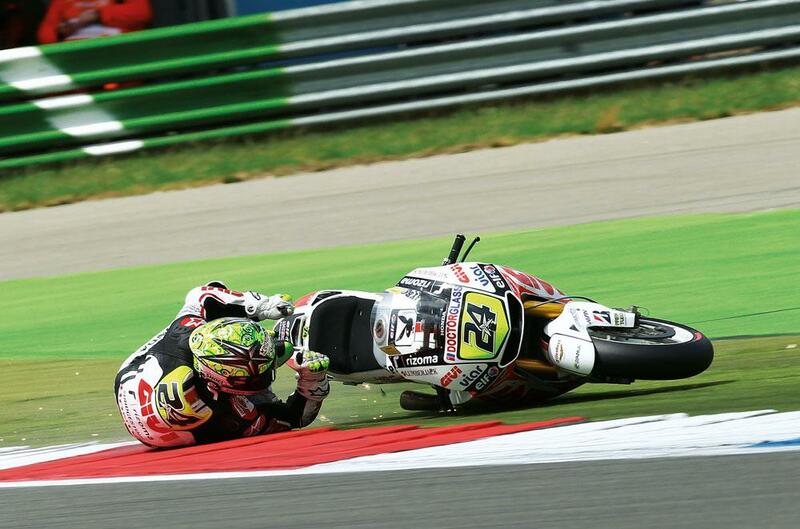 The same Toni Elias who beat Rossi once by two thousandths of a second, but then later went and knocked him off. Patchy, but brilliant. His return to MotoGP in 2011 has been more consistent. Consistently last. It’s not talent that has deserted toothy Toni, but traction. The control Bridgestone tyres have astonishing endurance, but they need to be worked hard to get warm enough to grip. The lightweight Spaniard’s style is different: back in the days of free tyres Bridgestone used to make special soft compounds for him alone.